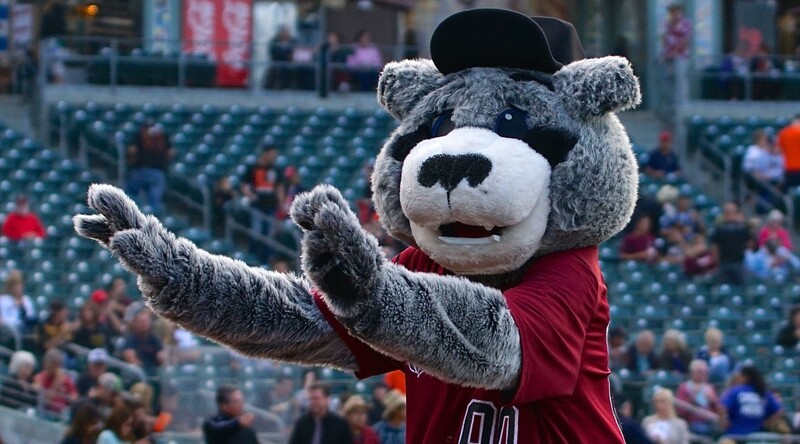 FRESNO, Calif. – Coming off of their first road shutout loss of the season, the Sacramento River Cat bats again struggled as they fell to the Fresno Grizzlies by the final of 12-2. Nick Noonan made his return to the San Francisco Giants organization in the loss, but a short evening from Tommy Hanson spoiled the homecoming. The 28-year old Hanson did not have one of his better outings Saturday night, as he lasted just 2.1 innings while allowing 9 runs (7 earned) on 8 hits with 2 walks and just 1 strikeout. The start was the shortest of the season for Hanson, and is the fifth time in his 7 starts with Sacramento that he did not make it past the 4th inning. Fresno tagged Hanson early, putting up 2 runs on 3 hits in the opening frame. The biggest blow of the evening came in the third, however, as the Grizzlies sent 13 men to the plate while scoring 7 runs on 6 hits and an error. Fresno launched 2 home runs and added a triple in the inning to force Hanson out of the game. 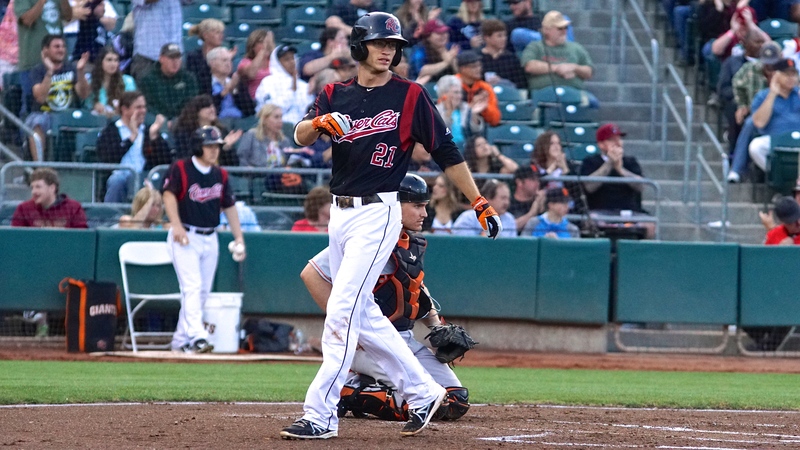 Noonan, an infielder who re-signed with the Giants organization this week, made his Sacramento River Cats debut on Saturday, entering the game in the fifth inning and finishing 0-for-2 at the dish. Noonan was originally drafted by the Giants in the first round of the 2007 amateur draft, and made his Major League debut with San Francisco on April 3, 2013. 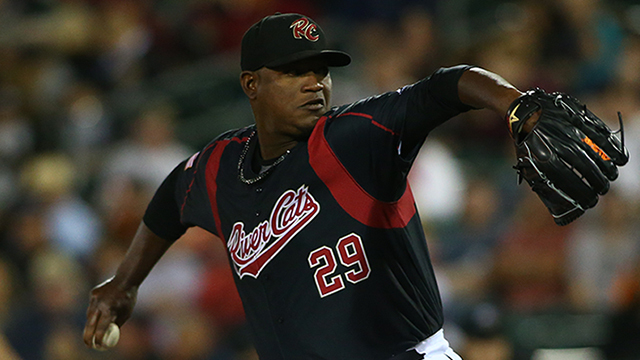 The River Cats had very little offensive highlights to speak off, as they collected a total of 6 hits as a team. The first run of the day came in the fifth, as Ryan Lollis (1-for-3, RBI) drove in his 26th run of the season on a single to center. The next inning, catcher Trevor Brown (1-for-4, RBI) drove in the club’s only other run on a soft line drive single to left field. Right-hander Mike Hauschild (6-3, 3.49) got the starting nod for Fresno, and held Sacramento in check over his 6 innings of work. Hauschild allowed 2 runs on 6 hits, walking 1 and striking out 8. 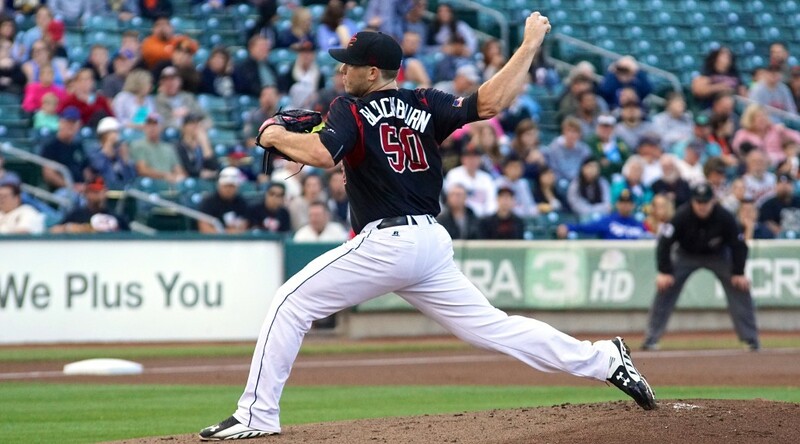 The start was Hauschild’s second against Sacramento in 2015 (July 12), both resulting in wins. The Sacramento bullpen was taxed in Saturday’s loss. Five different relievers had to be used in the game, combining for a total of 5.2 innings. Curtis Partch looked especially sharp in his appearance, striking out the side in a perfect seventh inning. 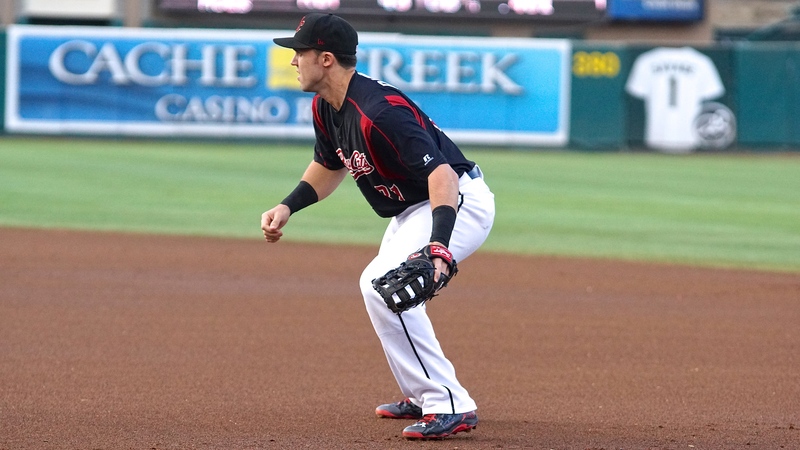 Saturday was the 14th time in the 2015 campaign that the River Cats committed 3 errors. 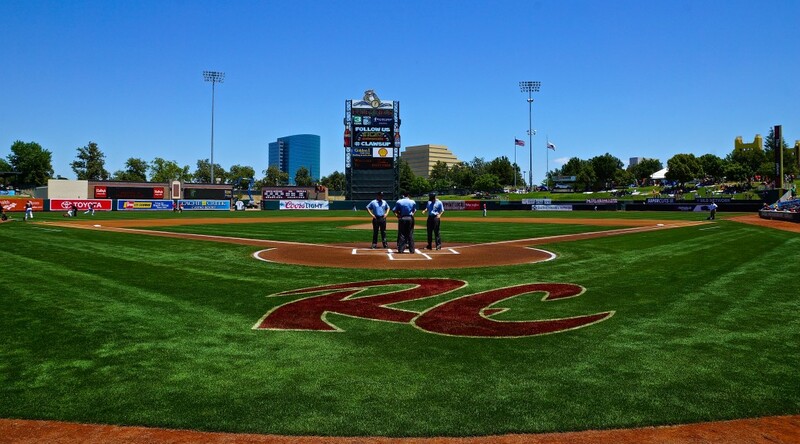 In those games, Sacramento holds a record of 2-12 while allowing opponents to score an average of over 8 runs per game. Sacramento will look to avoid their fifth series sweep of the year tomorrow, when they send young right-hander Clayton Blackburn (7-3, 3.51) to the mound. Blackburn has won his last four starts, posting a 2.16 ERA while holding opposing hitters to a .286 batting average in that time. Opposing him for the Grizzlies will be RHP Brady Rodgers (9-5, 4.59). Rodgers started against the River Cats on June 25, and took the loss after allowing 4 runs over 5 innings. First pitch is set for 6:05 p.m. and can be heard on ESPN 1320. 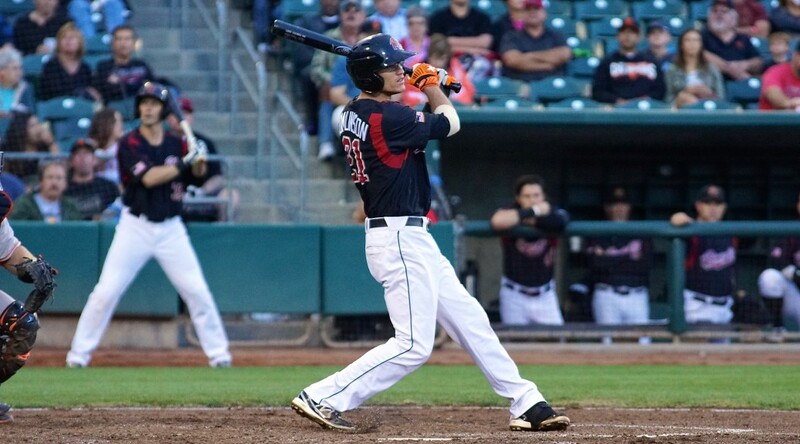 WEST SACRAMENTO, Calif. – Jarrett Parker shined under the lights Friday night in front a sold-out crowd at Raley Field as he powered the Sacramento River Cats past the Las Vegas 51s 5-1 to take the series finale and the series. Right-hander Curtis Partch dominated in his first start for Sacramento, striking out a season-high seven in four innings. Parker showed off his easy power in the first inning, doubling to the deepest part of the yard in right-center. Mac Williamson and Trevor Brown both came around to score on the knock, putting the River Cats up 3-0. The double was his 12th of the season. The 26-year-old unleashed again in the fourth, belting a solo home run, his 16th, to left to give the River Cats a 4-1 lead. Overall, Parker was 2-for-4 with a double, home run, and 3 RBI in the win. Curtis Partch (1-2, 3.54) made a spot start for the River Cats after last weekend’s doubleheader pushed the rotation back a day. The start was his first since May 20, 2014 when he went three innings for the Triple-A Louisville Bats. The right-hander had made 36 relief appearances prior to tonight, maxing out at 2 2/3 innings on July 1 against Salt Lake. The transition appeared effortless for Partch who recorded a new season-high seven strikeouts over four innings, also a season-high. He threw 52 pitches (35 for strikes), allowing just one run on two hits and a walk. The River Cats used six different pitchers in the win, and although Partch’s start was certainly impressive, left-hander Josh Osich’s appearance may have edged his out for the best of the night. Osich entered the game in the top of the eighth in a bases-loaded, no-out situation and proceeded to strikeout out the side to get the River Cats out of the jam. The left-hander mixed a 96-97 mph fastball with a devastating 90 mph slider and a disappearing changeup to keep Las Vegas off balance and flailing at the plate. He pitched a scoreless ninth inning, striking out one more, to close out the game and picked up the win, his first, for his dominating effort. Sacramento finishes the month having gone 15-13, posting a winning record in a single month for the first time since April (12-9). They will head out on the road tomorrow for a four-game set with the Salt Lake Bees. 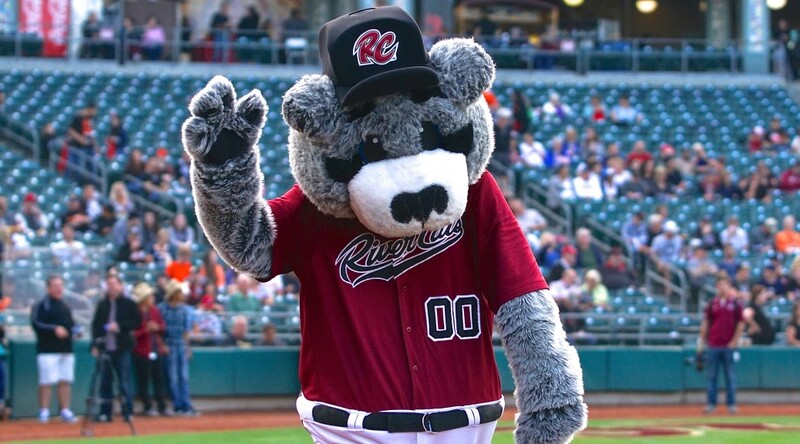 August also marks the start of a stretch where the River Cats play 21 of their next 30 on the road. Toeing the rubber tomorrow night will be left-hander Ty Blach (9-8, 4.00). Opposing him will the righty Alex Sanabia (1-10, 7.44). First pitch is set for 6:05 p.m. PT and can be heard live on rivercats.com and on ESPN 1320. SACRAMENTO, Calif. – A ninth-inning rally fell short for Sacramento in their 6-4 loss to the Memphis Redbirds on Saturday night. 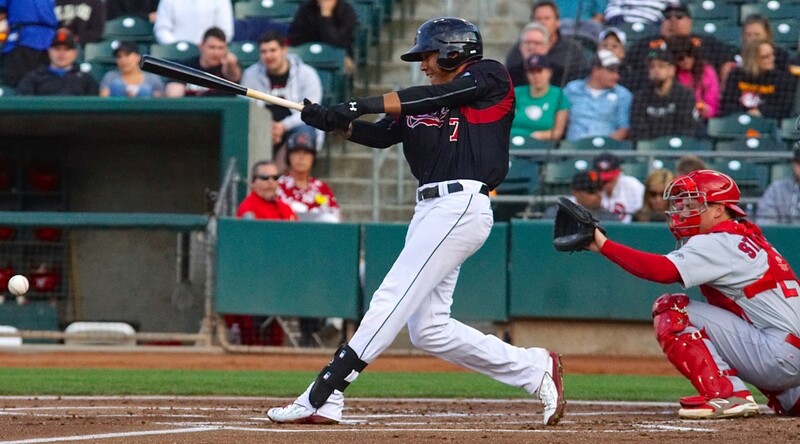 The River Cats outhit the Redbirds 12 to 7 on the night, three of which belonged to shortstop Ehire Adrianza, who also extended his hit streak to nine games. Memphis jumped ahead early for the second night in a row, taking a 1-0 lead on shortstop Greg Gacria’s RBI-single. River Cats starter Austin Fleet settled in nicely after the first inning, retiring 10 in a row from the second into the fifth. Memphis however, finally got to the right-hander with three singles and a walk, scoring twice. Fleet was replaced by reliever Curtis Partch, who helped the Redbirds extend their lead by walking in a run before getting out of the inning. Memphis led 4-0 through four and a half innings. 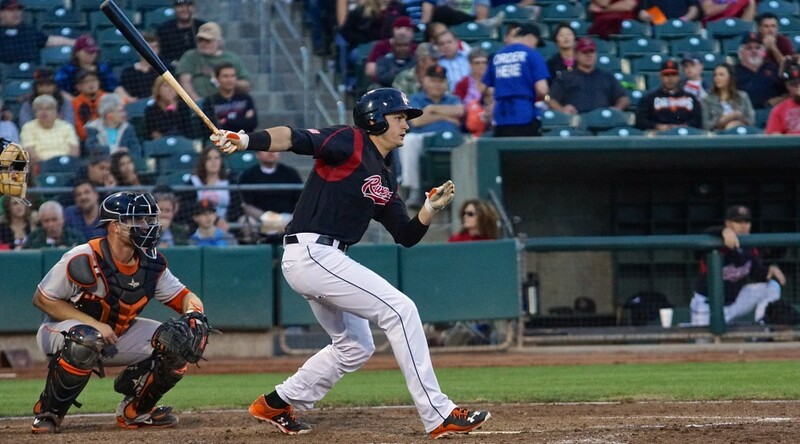 The River Cats countered in their half of the inning, stringing together four two-out singles and scoring four runs of their own to even the score at four. Adam Duvall, Juan Perez, Jarrett Parker, and Trevor Brown all collected an RBI in the inning. Ehire Adrianza also singled in the inning, his third of the night, before scoring on Perez’s base hit to deep shortstop. With the three hits, Adrianza extended his season-long hitting streak to nine games. Over his last nine games, Adrianza is hitting .474 (18-38) with 7 runs scored. Memphis took the lead again for good in the seventh, scoring twice on a walk, two singles, and a River Cats error. With two on, Garcia singled to right fielder Juan Perez. Charging aggressively, Perez overran the ball, allowing a second run to score on the play. Sacramento made a late-game push, loading the bases in the bottom of the ninth, but were unable to come through with game-changing hit. Catcher Trevor Brown hit a hard groundball to second base to end the game. Fleet took the loss for Sacramento. He threw 4.2 innings, allowing 4 runs (all earned) on 4 hits and 3 walks. He struck out 3. Keith Butler (2-2) picked up the win for Memphis, his second of the season, as Sam Tuivailala recorded his fifth save. Tonight’s game also featured the first automatic strike three call the River Cats have seen since the implementation of pace of game regulations in Minor League baseball. With a runner on first, Carlos Triunfel was determined to have taken too long to get into the batter’s box and was penalized with an automatic strike by home plate umpire Spencer Flynn. The strike was the third of the at bat and Triunfel was called out. The loss moves the River Cats under .500 for the first time since April 25, when they were 8-9, but the team is 5-1 in home day games and will look to add to that record in tomorrow’s contest. Sacramento will take the field behind their lefty Ty Blach (4-3, 3.83). Memphis will counter with their first right-hander of the series, Zach Petrick (2-3, 4.54). Tomorrow’s first pitch is set for 1:05 p.m.